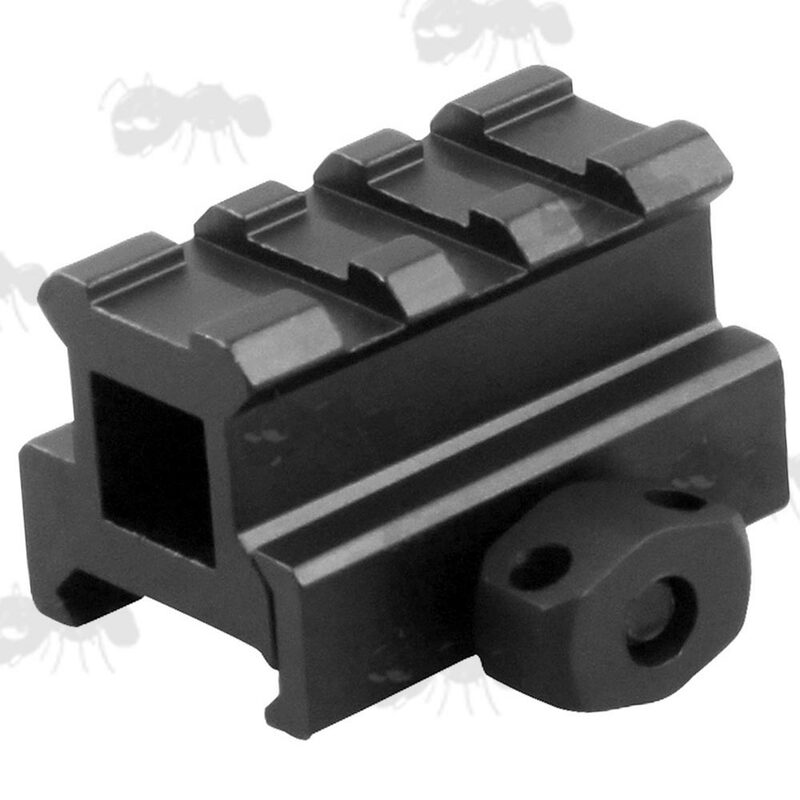 Range of mini to small length raiser rails. Elevates 0.48 inch / 12mm. 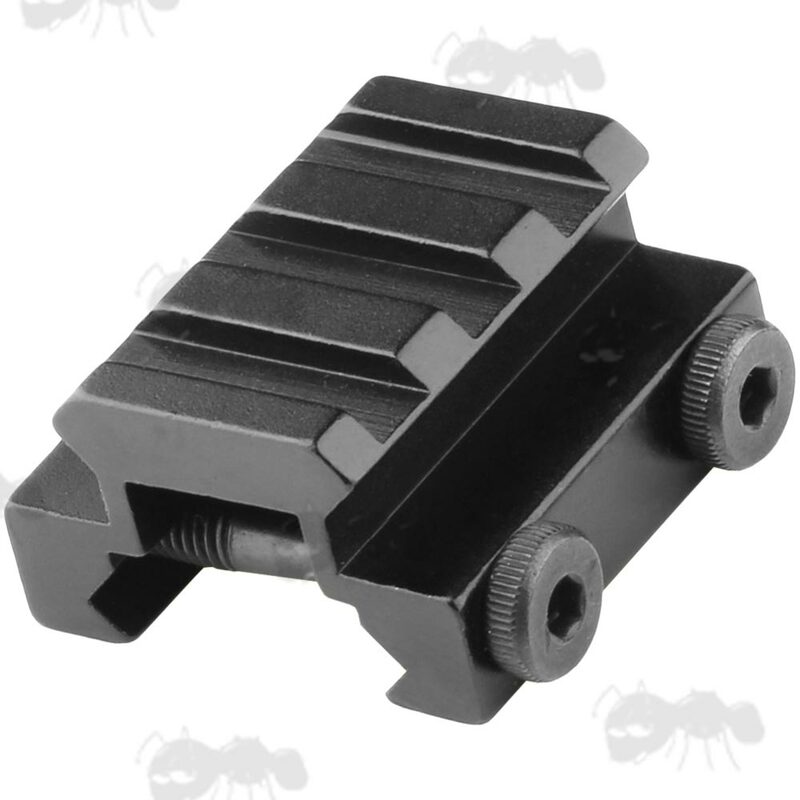 Elevates 0.67 inch / 17mm. Elevates 0.82 inch / 21mm. Elevates 0.95 inch / 24mm. 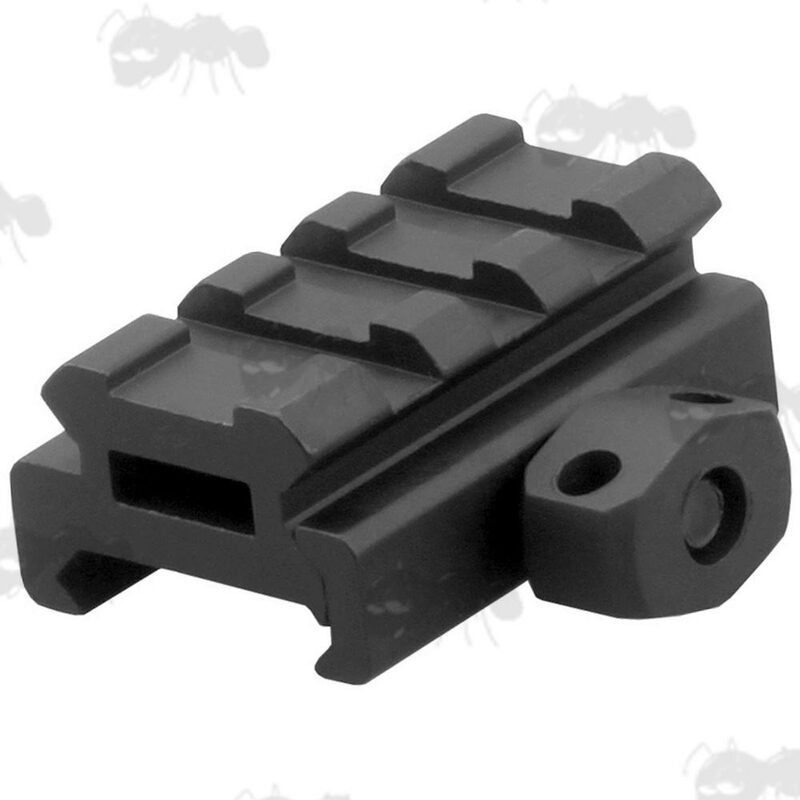 Next > Spring-Loaded Mini Weaver Riser Rail. 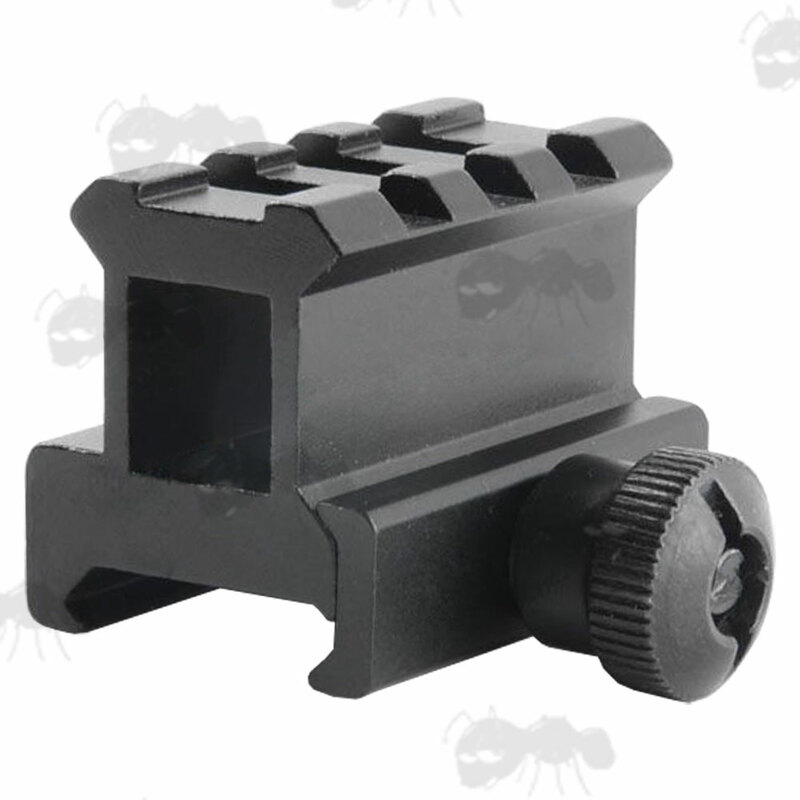 Precision machined high-quality aluminium alloy construction. 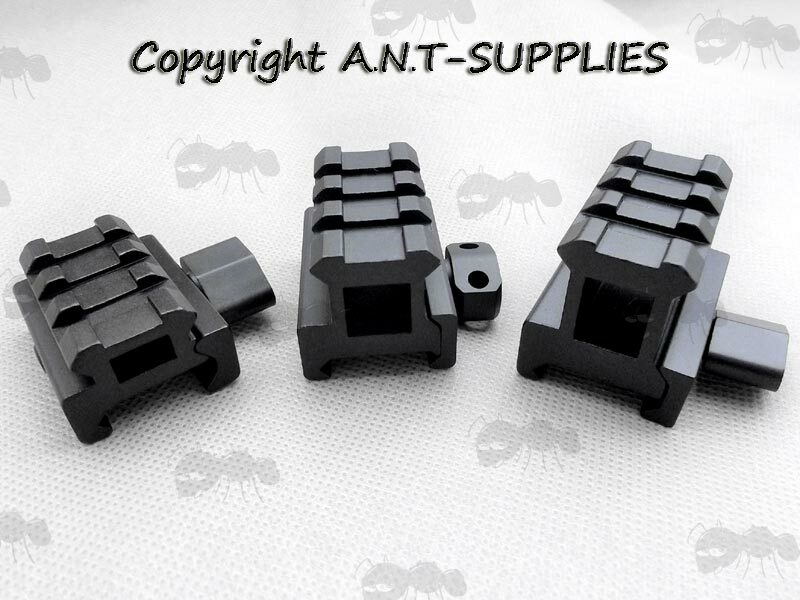 Can be used as two piece raisers, to allow clearance for bolt action rifle chambers. 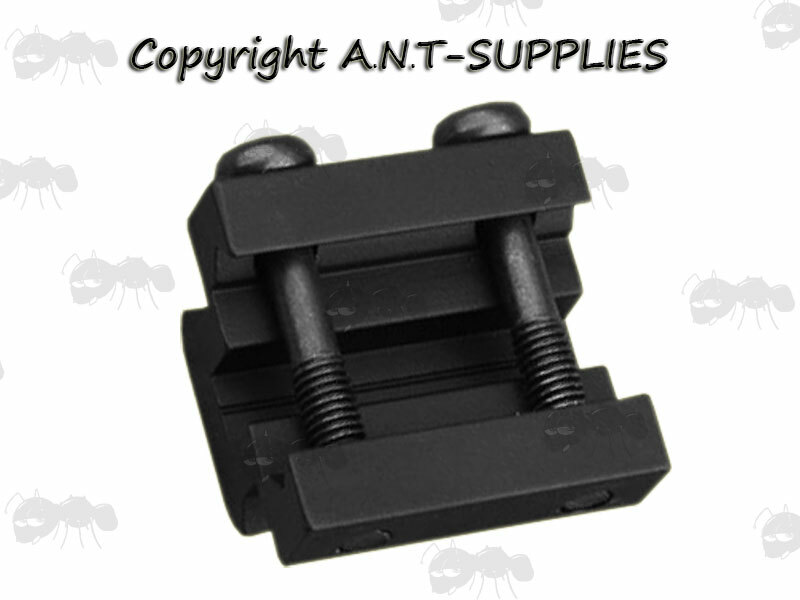 Fits most flat top rifles to raise the rail for mounting various devices such as scopes, tactical lights, red dots and lasers etc. Please Note; the compression rail will not fit as many rails as the others do. 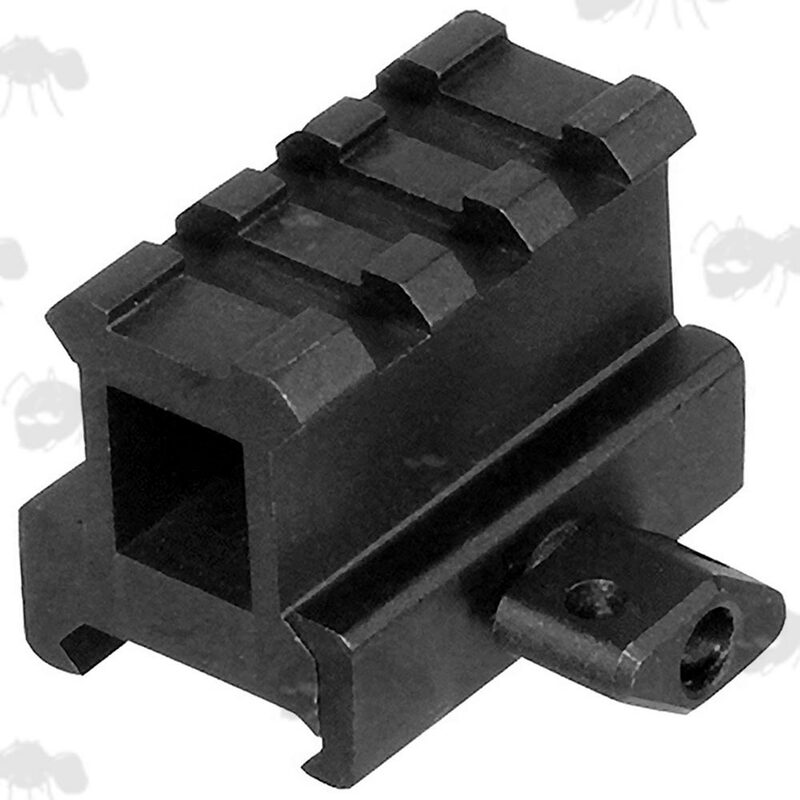 Elevates 0.51 inch / 13mm. Precision machined 6063-T6 aluminium alloy construction. 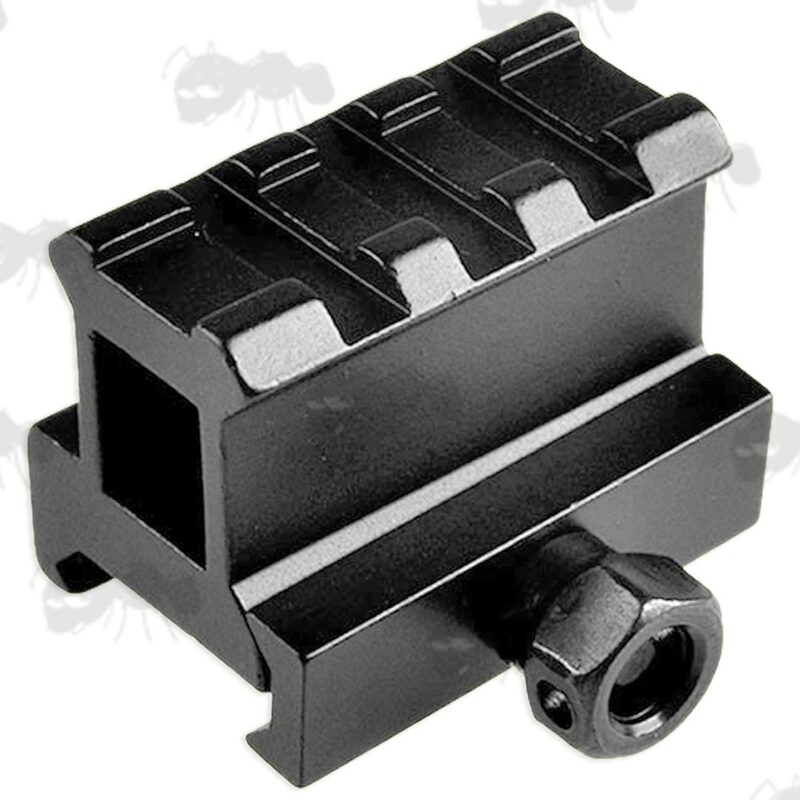 Three slot mini risers rail, also available in pairs, to allow clearance for bolt action rifle chambers. Oblong fixing thumb nuts with have spring-loaded tension side plates. 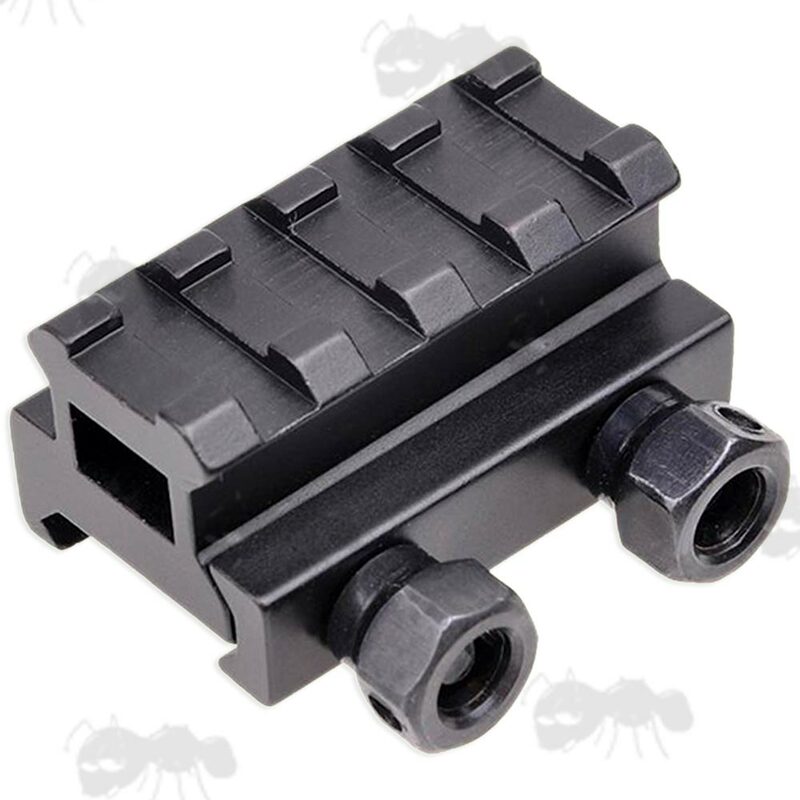 Also available as short to medium and long length raiser rails.